We recently took a trip to Sri Lanka. Due to weather we were advised the best beach vactation would be had on the east side of the island. Instead of driving directly to Trincomalee we took 3 days and stopped along the way to see different sites. One of our days was spent in Kandy, a city in the middle of the country. The hot ticket for that day was the Royal Botanical Gardens and Buddhist temple. Honestly, I really wasn't that keen on going to the gardens because I thought my daughter would be bored, but after reading the Trip Advisor reviews we decided to go. It was lovely! 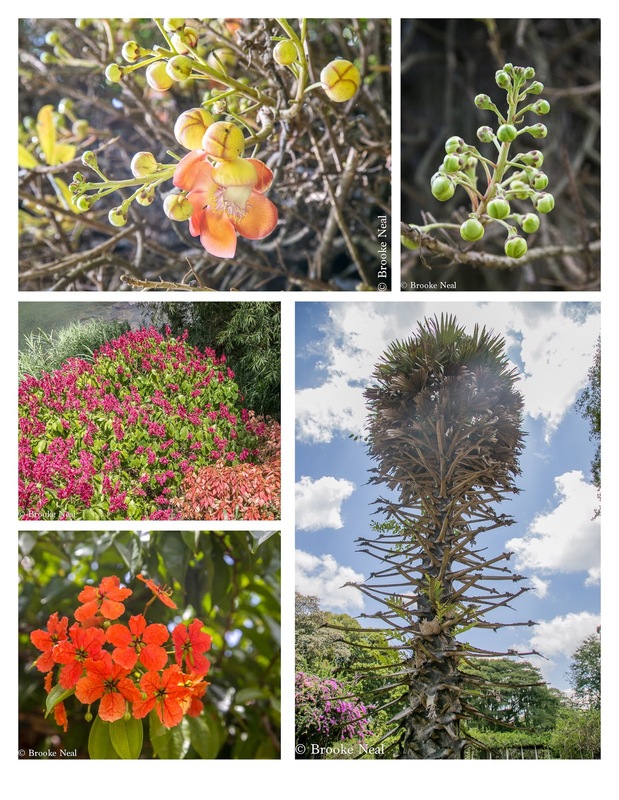 Beautiful variety of plants, trees, and flowers. 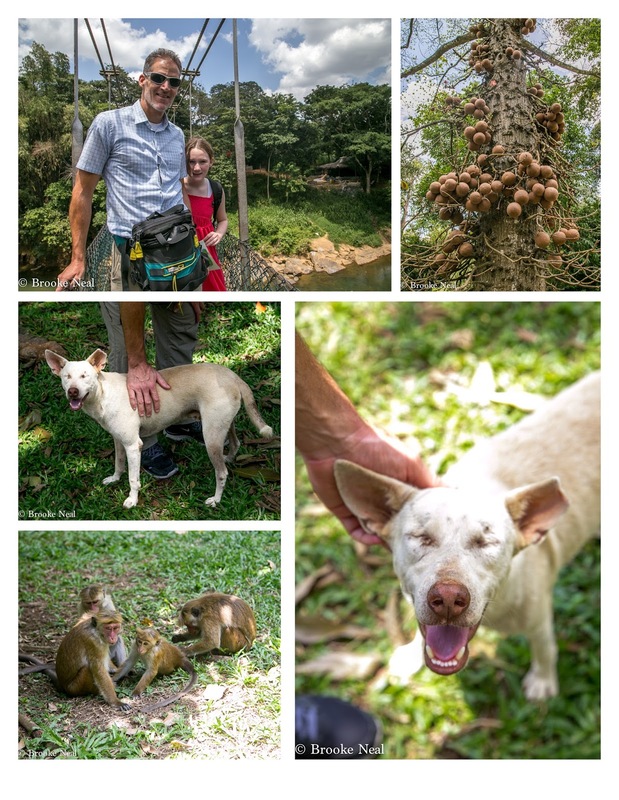 Monkeys, stray dogs and the tallest Bamboo trees you've ever seen! Time: You'll need a few hours the grounds are quite extensive. It's a lovely place to sit and read or enjoy a picnic if you have the time. I fell in love with this blind dog, he was so sweet and happy-can you see the smile on his face? I would have taken him home if it had been remotely possible, I wanted this stray! That crazy tree is called a Cannon Ball Tree. 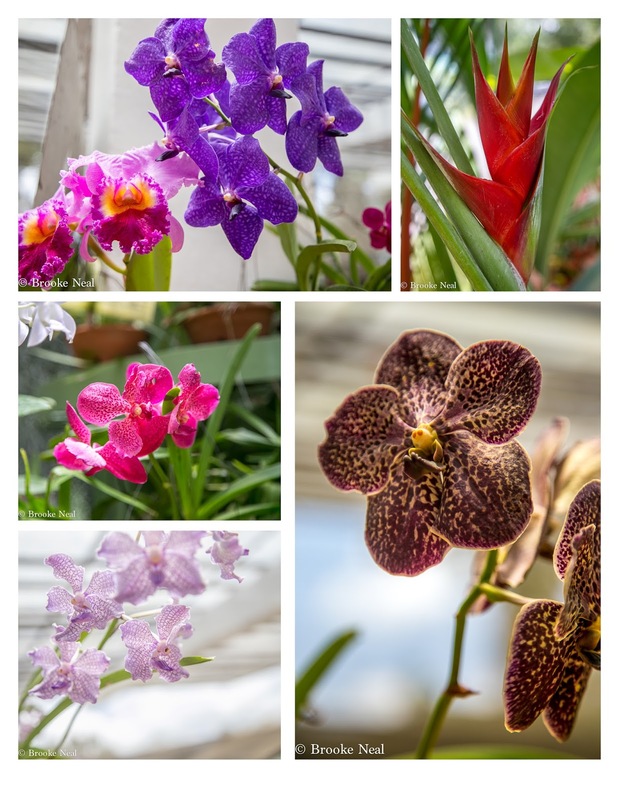 Eden took many of the orchid pictures. The cemetery picture is out of place, it's not at the garden. 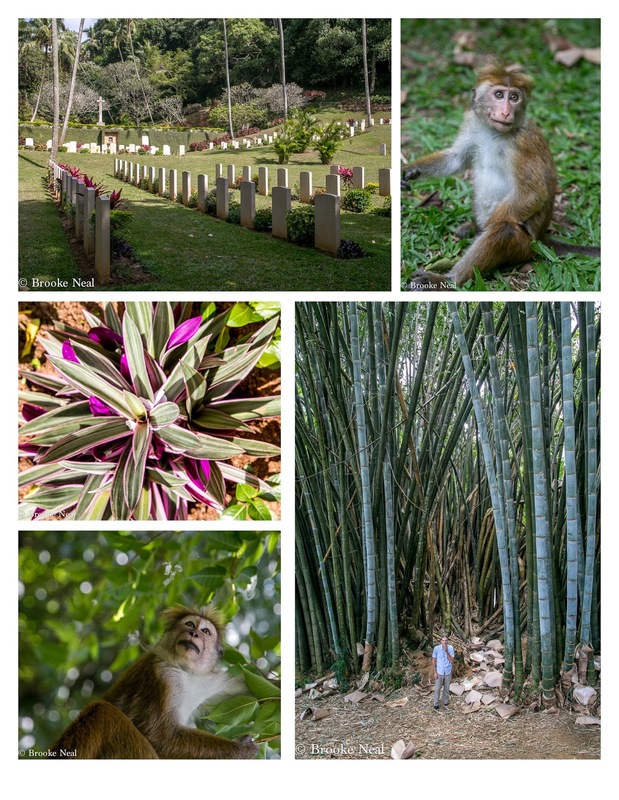 This is a WW2 cemetery for the British and Sri Lankans. So many young people are buried here. I really loved reading the tributes and epitaphs on the grave stones. Brothers, sons, husbands all lost. There was one woman. Look at that bamboo! Bob is standing there to give it some perspective. As the bamboo swayed in the breeze the stalks would hit each other and make this hollow crackling sound that was a little unnerving. Beautiful! I am seriously jealous! On the first collage, the tree on the bottom right, what is that? On Saturday we went out to dinner and just outside the restaurant we saw the same exact tree and none of us could identify the tree. It is a palm, but it has been pruned or not pruned very strangely. Those are just palm-less branches as best I can tell. These are really great, definitivly worth exploring. Thank you for linking in with "Through My Lens"
So much color here, thank you for sharing the Colors of Autumn Challenge!! Nice gardens, definitely worth a visit. The monkeys are so cute!